Hello, I would like to thank everyone for visiting my site. 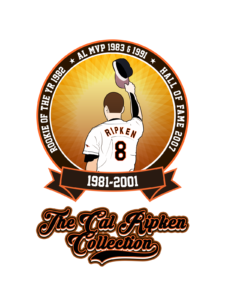 I created this database for all the other Cal Ripken Jr Collectors out there to enjoy and compare their collections to. This has been a hobby and passion of mine since I was a child, and sharing it with others has taken my enjoyment to the next level. Please if you have a moment, drop me a line here. I would love to hear any feedback, comments, or corrections you might have. Thank you for sharing this stuff with us. Thank you. It has taken a lot of time to create it, but I am happy people are finding it and checking it out. Very impressive, Rob. It has been a pleasure to assist you with your renewed love of collecting baseball cards. Will share the site!